Voters in both Townships will decide to approve the 2017 budget. Residents of Winslow Township and Gloucester Township will go to the polls on Saturday, Feb. 18 and vote on their respective 2017 fire district budgets. 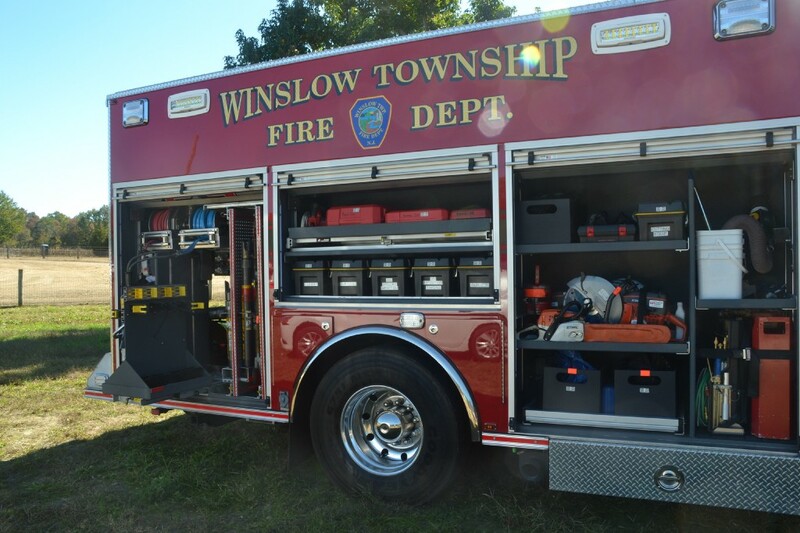 Winslow Township residents could have an increase in their fire district taxes if voters approve the fire district’s proposed budget on Feb. 18. The Proposed budget for the fire district includes a tax increase of 2 percent. Residents with an average assessed home of $174,946 will have an increase of $5.63 in their fire district taxes if the budget is approved. Fire Chief Marc Rigberg said the increase would help upgrade equipment and technology to enhance the safety of firefighters and increase capability to residents. Rigberg also explained the proposed budget will help the department continue to be heavily involved in the community. The second question on the ballot is proposing to increase the contributing amount of LOSAP — the Length of Service Awards Program, a retirement system for volunteer firefighters. The fire department contributes $1,028 for each qualified volunteer firefighter and wants to raise the amount to $1,669. This money is not part of the overall budget, and the department is permitted to increase the amount in addition to the 2 percent tax increase because of the benefits the LOSAP program provides. Voters will also choose two candidates to serve on the Winslow Township Board of Fire Commissioners for full three-year terms. Guy Midure and Robert Sirolli are running for re-election for their seats on the board. The other two candidates are Joseph M. Duble and Bob Maschke. Polls will be open from 2 to 9 p.m. on Feb. 18 at Cedarbrook Fire Company, located at 9 Cedarbrook Road in Sicklerville. Sicklerville residents served by the Erial-Gloucester Township Fire District No. 6 could have a decrease in their fire district taxes for the first time in 10 years if voters approve the proposed budget on Feb. 18. The proposed budget is $1,456,540. Residents with an average assessed home of $195,000 will have an estimated decrease of $4.86 in their fire district taxes if the budget is approved. Chairman on the Board of Commissioners, George Brown, said the fire district was very conservative in its spending and didn’t replace equipment right away, which led to the potential decrease. “Unlike some districts that lease equipment or save for replacements down the road, we have a new, fully-equipped engine coming in the next two months that’s completely paid for,” Brown said. The second question on the ballot proposes the purchase of two new vehicles with money coming from a Reserved Truck Fund. These vehicles will be purchased in 2018 and will not increase 2018 taxes. “We pride ourselves in carrying money over from one year to the next,” he said. Voters will also choose one candidate to serve on the Erial-Gloucester Township Board of Fire Commissioners for a full three-year term. Brown is running for re-election uncontested for a seat on the board. Polls will be open from 2 to 9 p.m. on Feb. 18 at Erial-Gloucester Township Fire District No. 6, located at 1946 Williamstown Road in Sicklerville.